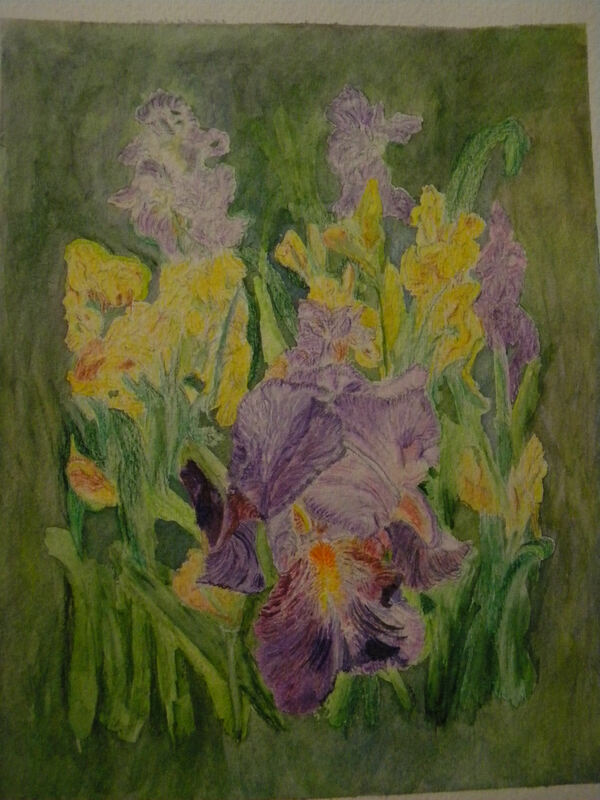 My Iris paintings were done from photos. A dear friend of mine named Andrea had these in her backyard. She had her so take the photos and give them to me to paint from. Unfortunately, I didn’t get to give the paintings to her, because she passed away unexpectedly. Whenever I look at them, I ponder the dear friendship I had with her for over ten years. Posted on March 27, 2015, in Art Talk and tagged Flower Fridays, Wacky Wednesdays. Bookmark the permalink. 14 Comments. So beautiful. What an amazing tribute to her this painting is. Hugs to you. What a beautiful painting, Patsy. Your friend Andrea, would have loved it. I’m happy you have it as a reminder of her. Thank you, Sherri. 🙂 Bless you also. Big, big hugs!! Thank you, Sherri. 🙂 Happy Easter to you, too.